Flash cards could prove to be the difference maker when it comes to math skills. Learning multiplication takes just a little time for these students. Follow the story of one student group that has made progress with their math skills. Teachers observe their progress and learn how to apply these various skills along the way. Learning math — or any other subject for that matter — and doing so by learning together and helping one another to understand the subject is what education is all about. Flash cards are useful when it comes to math concepts. 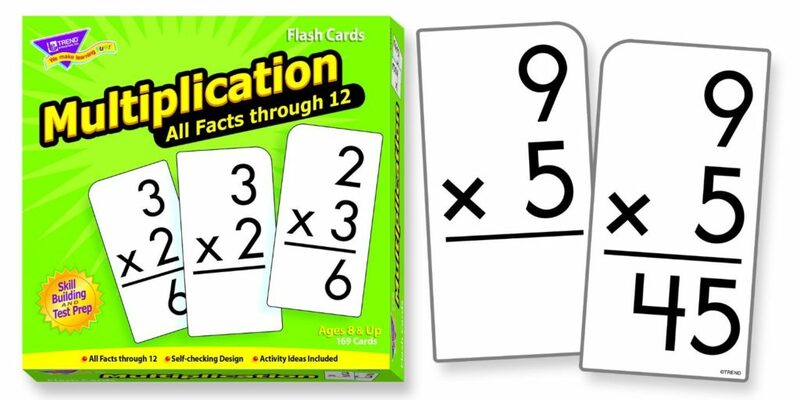 Flash cards are the most efficient means of teaching these important math skills to students. Students show progress and will be genuinely interested in learning new math concepts. They show progress in school and have made significant progress that people want to review. Math skills are more valuable than many students would have thought before now. Did math scare you as a child? Is your learner also anxious about math? Dyscalculia has proven to be a significant challenge for students of all ages. They may be held back a grade if they don’t learn math skills. There are some tried and true tactics that can be used for that purpose. Learn math and multiplication in just a short amount of time overall. Parents will be pleased by the progress that their students are making in the long run. Math and multiplication are problems that can be overcome in good time too.